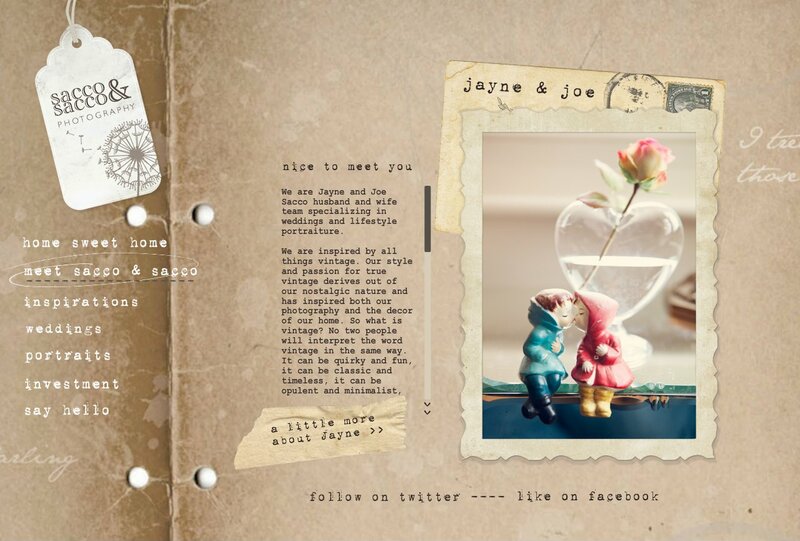 We are Jayne and Joe Sacco husband and wife team specializing in weddings and lifestyle portraiture. We are inspired by all things vintage. Our style and passion for true vintage derives out of our nostalgic nature and has inspired both our photography and the decor of our home. So what is vintage? No two people will interpret the word vintage in the same way. It can be quirky and fun, it can be classic and timeless, it can be opulent and minimalist, it can be chic and shabby chic. It is unique just like you. We love hunting out treasures, a beautiful pebble or shell on a beach walk, pre-loved treasures found in an antique fair, flea market or a charity shop. Everything we buy is for a reason and has a purpose even if Joe does not always agree! We enjoy recycling and reinventing the old to capture something new, as it is the presence of vintage soul mixed with modern moments that can create something fresh and timeless! Having 3 beautiful daughters we understand the importance of capturing all those special moments. They grow up so quickly. Our favorite day of the week is a Sunday, which is our family day. We love sipping tea and dunking biscuits whilst looking through old family photo albums reminiscing and laughing over fashion and hair disasters. Remembering the memories that have faded and the special people who are no longer with us. These moments are priceless and they are no longer just photo albums but family heirlooms.